Photo taken by drillers from rigs in the Black Sea, February 1, 2017. The Russian Defense ministry has lodged a note of protest with Ukraine’s military attaché after a Ukrainian military aircraft performed low-altitude maneuvers - endangering personnel and equipment at two Russian drilling platforms. The Russian Black Sea Fleet said earlier on Wednesday that the Ukrainian military plane carried out two provocative approaches at extremely low altitude to Russia's Tavrida and Crimea-1 drilling platforms in the Black Sea. According to the ministry's spokesman Igor Konashenkov, "the Russian side views these actions as provocative." He explained that an aircraft of the Ukrainian Air Forces carried out “two apparently prevocational simulated attacks on Russian drilling rigs … at an extremely low altitude.” The drilling rigs were located in the Black Sea, west of the Crimean Peninsula, at the Odesskoe gas field. The actions of the pilot forced a member of the drilling rigs’ security staff to fire four warning shots from a flare gun out of fear that the aircraft could eventually collide with the rig’s mast, the military official explained. “It is absolutely clear for everyone, who saw the flare gun … at least once, that it could not pose any danger to the aircraft,” the official said. Russia’s Defense Ministry later lodged a protest with the Ukrainian military attaché over the flight of the Ukrainian military aircraft that put lives at risk. Moscow has also strongly denied allegations that the plane was shot by personel on the offshore drilling rigs located not far from the Crimean peninsula. 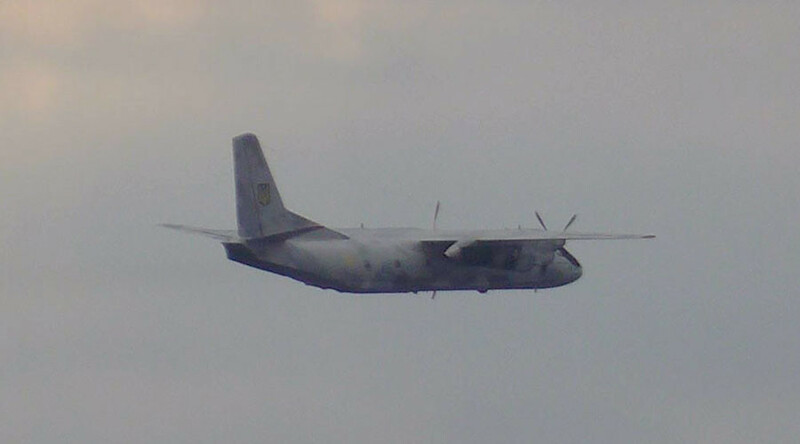 “All claims of the Ukrainian side concerning the alleged attack on the AN-26 plane are utter lies,” a military official from the Russian Black Sea Fleet headquarters said in a statement. The incident reportedly took place between 10:30 and 11:00 (local time) (8:30 and 9:00 GMT) but Ukrainian authorities pointedly only drew attention to the incident six hours later. The aircraft reportedly did not suffer any significant damage as a result of the incident and the pilot was not injured, Ukrainian authorities say. The Facebook post also features photos of what is assumed to be a part of the aircraft’s hull with a alleged bullet hole in it. 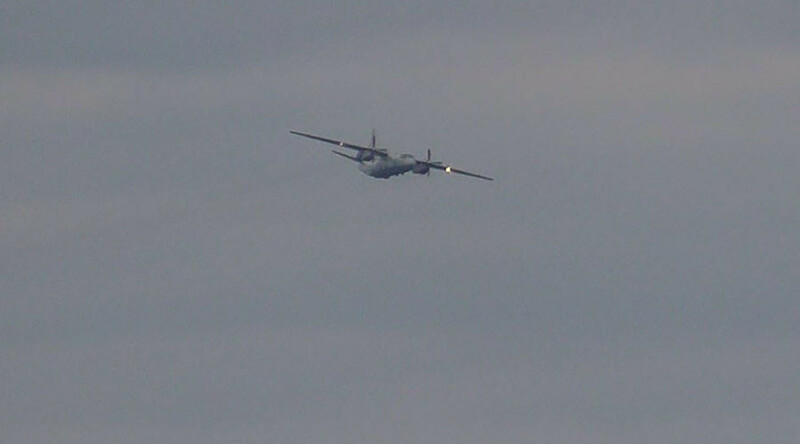 However, the photos do not show if it is really a hull of the mentioned AN-26 transport plane. He also said that the alleged attackers opened fire at the plane from one of the drilling rigs located in the area using small weapons. Later, Ukraine’s president’s press secretary confirmed that Poltorak reported the incident to Petro Poroshenko. Meanwhile, the Russian state-owned local oil and gas company, which owns the drilling rigs in the area, where the incident reportedly took place, said that it knows nothing about the issue. “We hear about that for the first time,” the company spokesperson told Russian media, commenting on the issue. The gas fields are located in the northwestern Black Sea shelf area and became part of the Russia’s exclusive economic zone after Crimea voted in a referendum to rejoin Russia, following the coup in Ukraine in 2014. The incident coincides with an escalation of violence in eastern Ukraine caused by an attack from Ukrainian paramilitary units supported by the army. 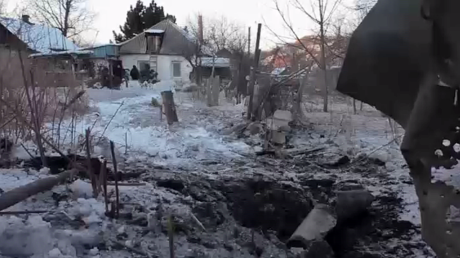 The latest outbreak of violence involved intense fighting around the town of Avdeevka, which is located close to the disengagement line between pro-Kiev forces and the rebels in the east as well as shelling of the city of Donetsk. Ukraine’s deputy defense minister admitted its troops were slowly advancing on rebel positions. He claimed, however, that the steps were provoked by actions from anti-Kiev forces.